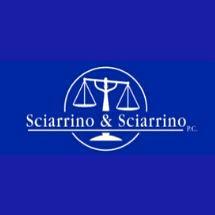 Since 1963, Sciarrino & Sciarrino, P.C., has offered dedicated criminal law counsel to people in the Mount Morris, Perry and Wayland, New York, areas. Our law offices proudly serve clients living throughout Allegany, Genesee, Livingston, Monroe and Wyoming counties, including the Rochester and Letchworth State Park areas. We provide representation in matters, including DWI and DUI, speeding tickets, drug charges, assault and battery and murder. For the convenience of those we represent, our law offices accept credit cards. We recognize what is at stake for our clients when they are the subjects of criminal investigations or are charged with criminal offenses. The media and the court of public opinion often convict people before they ever have their day in court and the facts of the case are presented. Passionate about protecting our clients' rights, as well as their freedom and futures, we have successfully pleaded down criminal charges and obtained full dismissals and acquittals on behalf of those we represent. Our journey with our clients begins with a free initial consultation. At that time, we listen to their side of the story, something the authorities may have been unwilling to do and discuss the details of their cases. Offering the compassionate advocacy they need, we explain how the applicable laws may apply to our clients' specific situations and help them understand their options, including the potential benefits and disadvantages of each. At the law offices of Sciarrino & Sciarrino, P.C., we work closely with those we represent throughout every stage of the criminal process, from arraignment through appeals. Our attorney crafts customized strategies designed to help them secure the best possible outcomes to their legal problems.